MAG Subscriptions. British Journal of Cardiac Nursing - Sale! The Sale is now on! You can save up to £35 on your subscription - order now with code CDN19D. 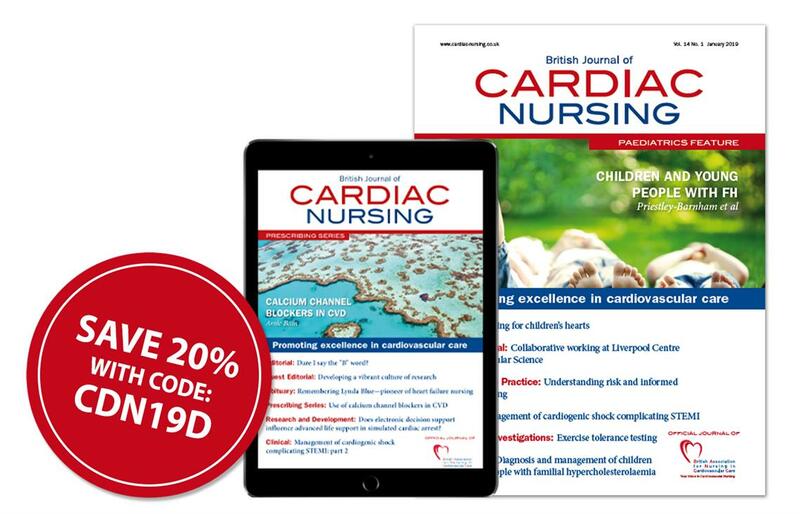 British Journal of Cardiac Nursing delivers clinical, professional and accessible content to keep you ahead of the latest developments in this demanding speciality. It prioritises best practice, lifelong learning and the provision of the best possible care. All articles are peer-reviewed by leading authorities in the field to ensure that the journal contains only the best and most relevant clinical reviews, original research, case studies and professional articles available to cardiac nurses. This once-a-year offer ends on 7th June (11:59PM GMT).